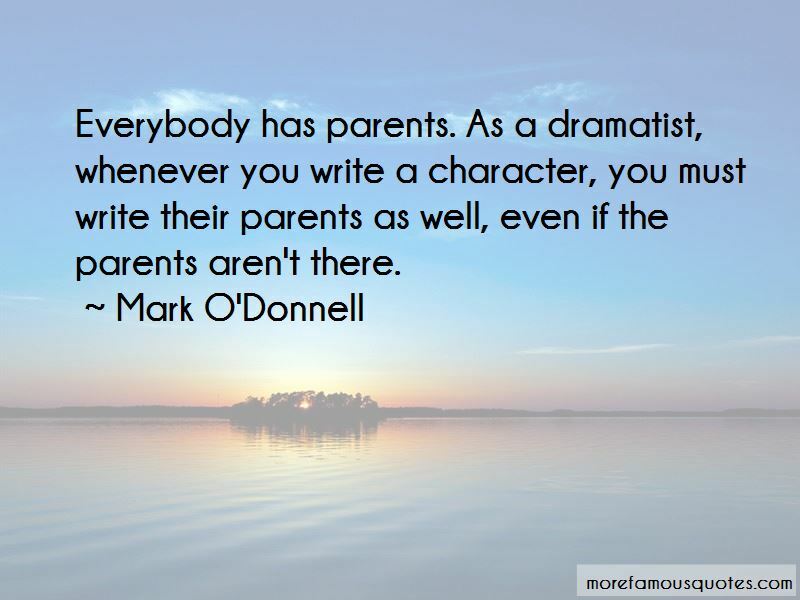 Enjoy the top 4 famous quotes, sayings and quotations by Mark O'Donnell. 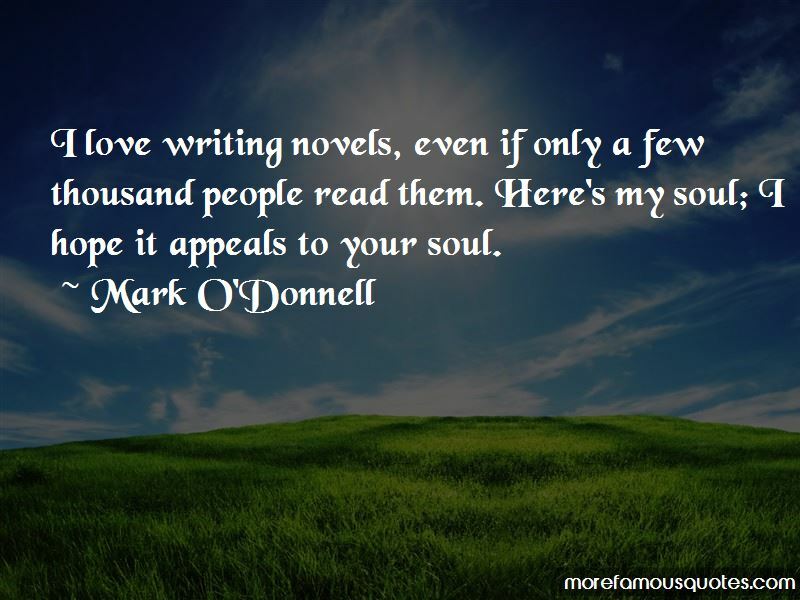 I love writing novels, even if only a few thousand people read them. Here's my soul; I hope it appeals to your soul. 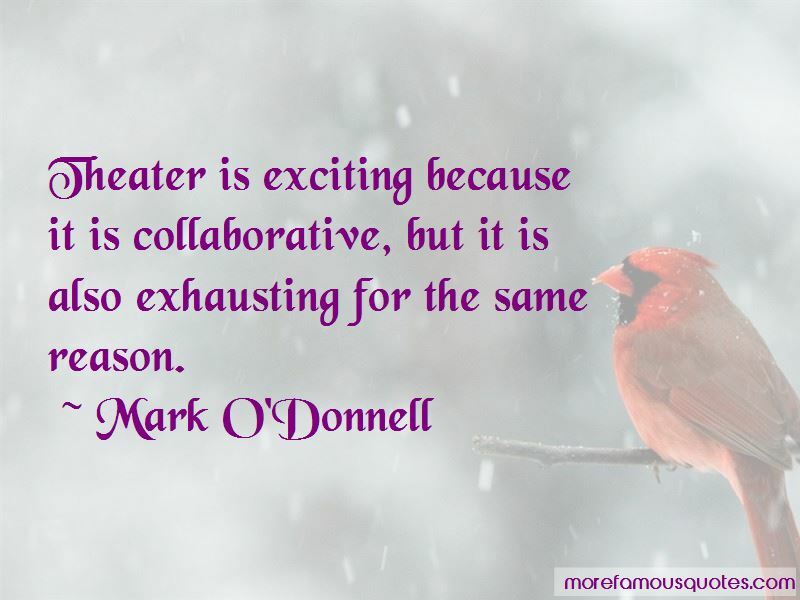 Want to see more pictures of Mark O'Donnell quotes? 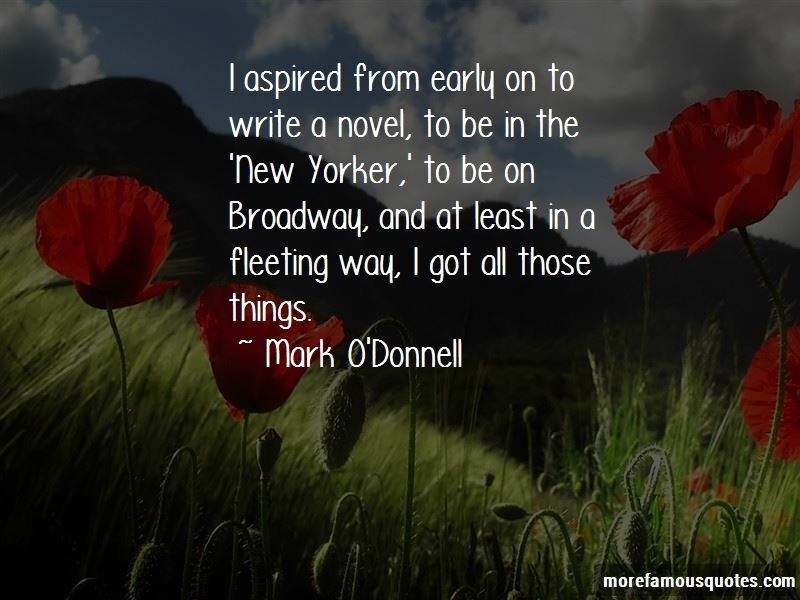 Click on image of Mark O'Donnell quotes to view full size.